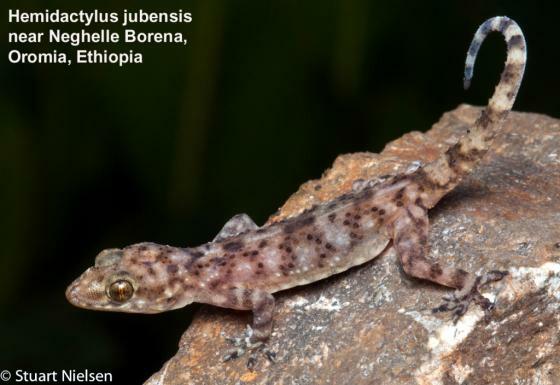 Can you confirm these amateur observations of Hemidactylus jubensis? 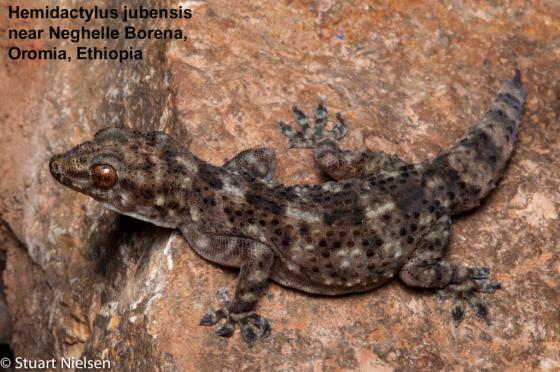 Type locality: Upper Ganale River, Abessynia. Types syntype: MSNG 28846 (male); the female syntype (BM 95.3.5.1/1946.8.23.66) is conspecific with H. smithi, fide LARGEN & SPAWLS 2006: 47.